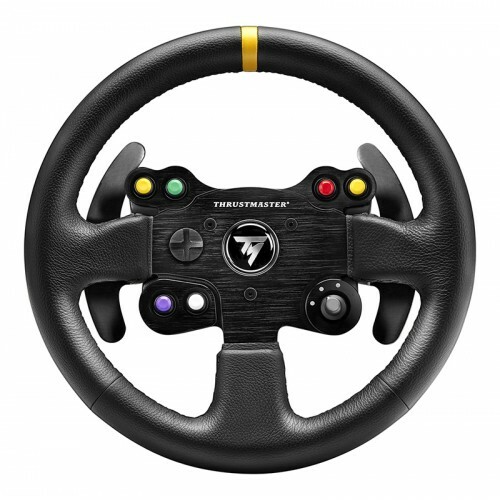 Equipped with a micro USB connector on the rear, the new SRD-9C Series 2 is designed to get a full view of the car parameters like speed, gear, fuel, kers, lap timing and time gap sector by sector (+/-), race position, laps completed, engine coolant temperature and engine oil pressure; in addition to this there are twelve high brightness LEDs and four flags/alarms LEDs (red, yellow, blue, green) assignable by the user to show additional information such as fuel or engine temperature alarms, TC (Traction Control) status, DRS and more. 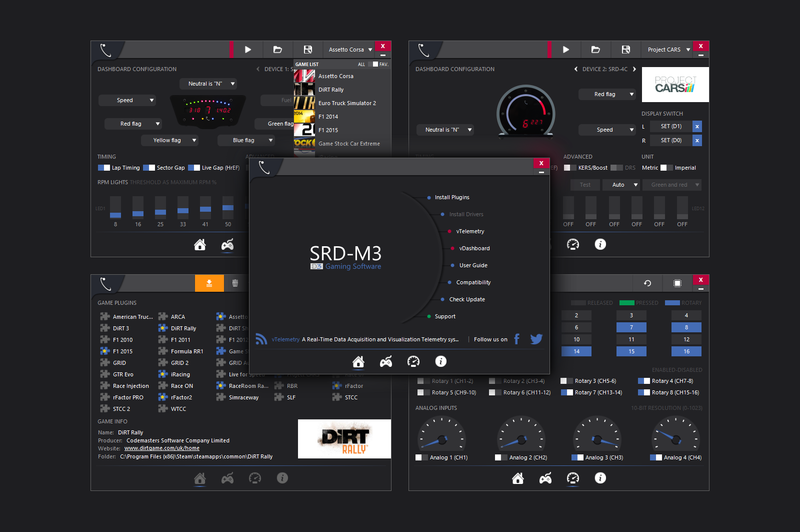 Supplied the new software SRD-M3 (SRD Manager 3) compatible with more than 40 games and simulators including the F1™ and DiRT series by Codemasters, rFactor2, iRacing, Project CARS and Assetto Corsa. 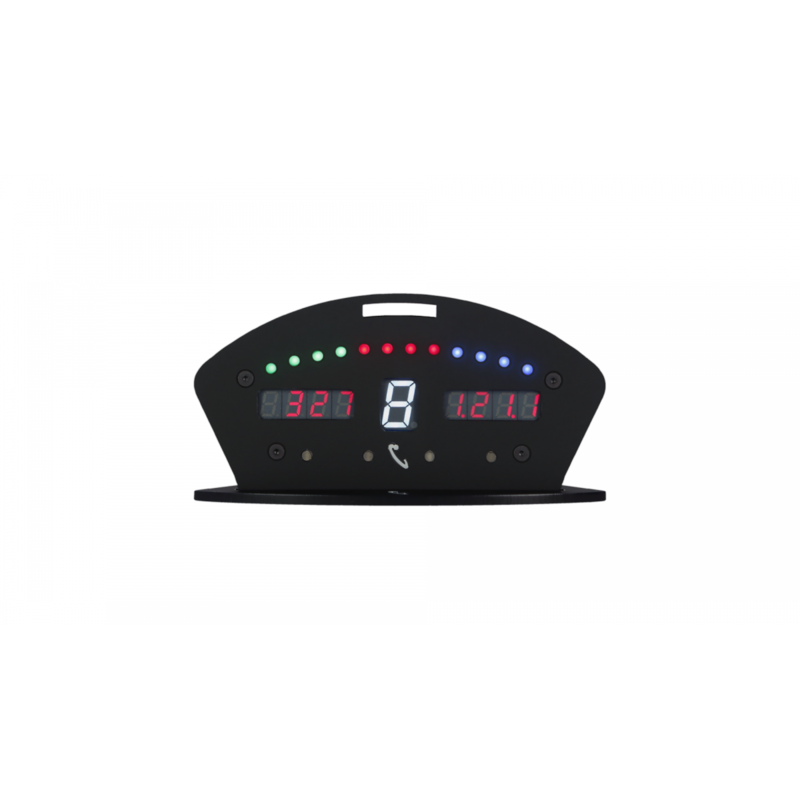 vTelemetry : A real time data acquisition and visualization system that works through animated 2D vector based graphs brings you all you need to analyze and compare car data during and after each practice, qualifying and race sessions. 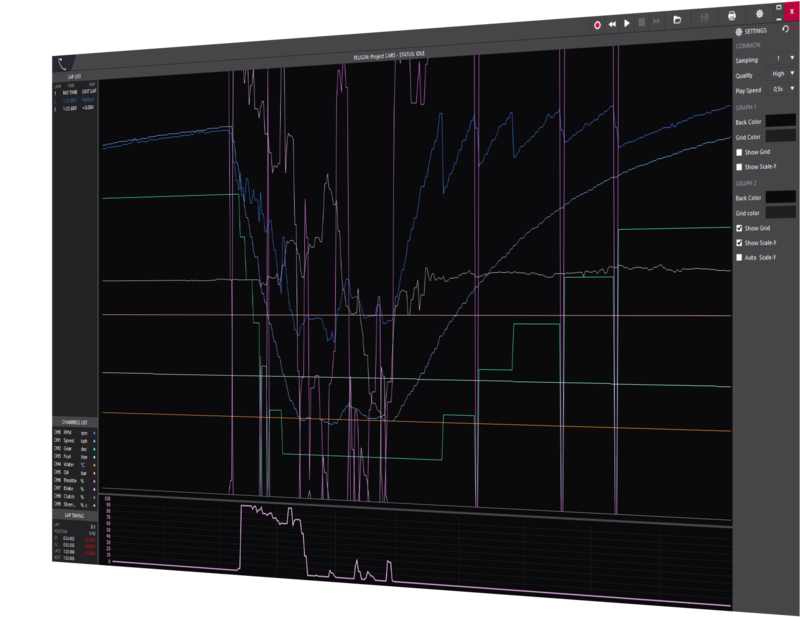 Acquire full session data, look at parameters and analyze where you can do better or how you can optimize the car setup for optimal track adaption. You can save, load and print acquired data to compare in future sessions. 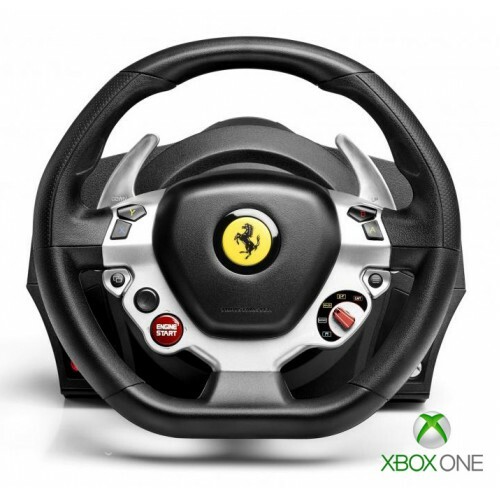 The Racing World is now in your hands! Identical to what real life teams use to check and optimize their driver and car performance, lap after lap, curve by curve. The vTelemetry graphic interface is totally customizable allowing you to change graph colors, channel colors, Max/Min scale values, enable and disable various parameters and much more that further bridges the gap between real racing and simulation. 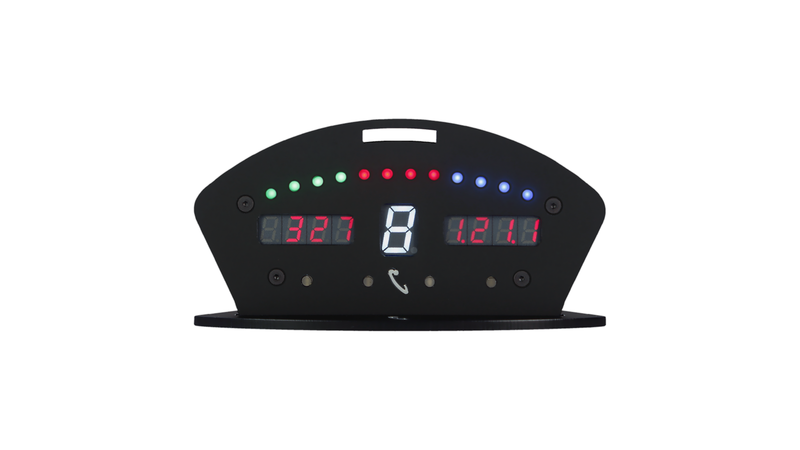 vDashboard : A virtual desktop dashboard with analog gauges and symbol lights that show the basic car information with a cool graphical user interface. This is an add on for those who prefer the classic old analog instruments that existed in those glorious classic racing cars. 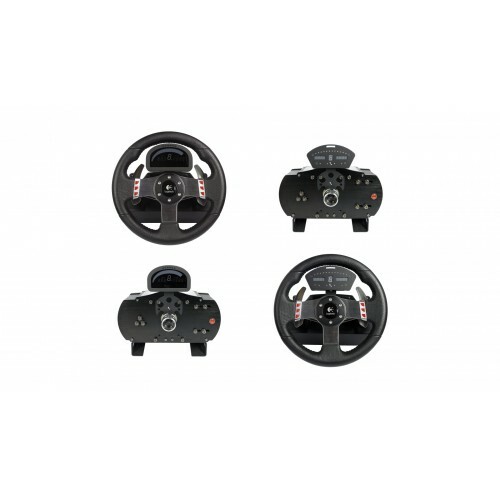 All the controls are vector based allowing the user to fully customize them to meet their personal taste.